Sunday, March 31 from 1:00 to 3:00 p.m.
Open to Phila Chapter SAH members only. $20 per person. Born in 1879 and raised in Lockport, NY, J.J. Raskob became Pierre S. du Pont’s personal secretary in 1901. In 1911, he became assistant treasurer of DuPont, in 1914 treasurer, and in 1918 vice-president for finance of both DuPont and General Motors. Raskob had been an early investor in General Motors and had engineered DuPont’s ownership of 43% of GM. Raskob remained with DuPont until his retirement from the company in 1946. He was also a devout Catholic and staunch Democrat, serving as chairman of the Democratic party from 1928-1932. Many important players on the National stage were guests at The Patio for strategy meetings in 1928 when four-time New York Governor and fellow Catholic Alfred E. “Al” Smith ran for President. Largely due to anti-Catholic sentiment Smith lost to Republican Herbert Hoover, so Raskob turned his attention to another project that he started in 1929, construction of the Empire State Building. The Empire State Corporation, formed to build the structure, was a consortium of four men: Pierre S. DuPont, Louis G. Kauffman, Ellis P. Earle, and Raskob. After his loss for President, they named Al Smith as the corporation’s president. Smith was a real booster for the ESB and did a great deal to sign tenants during the Depression. The Empire State Building was officially opened on May 1, 1931, later that year Raskob left Archmere for his home on the Eastern Shore of Maryland as the Claymont area had become increasingly industrial in the first decades of the 20th-C. In 1932 the Norbertine religious order purchased the estate and founded Archmere Academy, originally an all-boys school, today Archmere continues as co-ed private Roman Catholic college prep school with an annual enrollment of about 500 students. Current Headmaster Michael A. Marinelli, Ed.D., will be our guide on this tour that will take you from the basement to the attic. Driving Directions: From Philadelphia Pike drive past the main gates to the mansion and make a left turn at the traffic light onto Manor Avenue. Enter at the THIRD gate on the left. Park in that lot and walk around to the front entrance of The Patio. Tuesday January 22, 2019 at 6:00 p.m.
Pizza and beverages will be provided. Please feel free to bring a dessert to share if you wish. There is no charge for Philadelphia Chapter SAH members AND each member is invited to bring one guest at no charge as a prospective member. Additional guests are welcome at $15.00 each. RESERVATIONS REQUIRED Please RSVP to Bruce Laverty at laverty@PhilaAthenaeum.org or 215-925-2688. 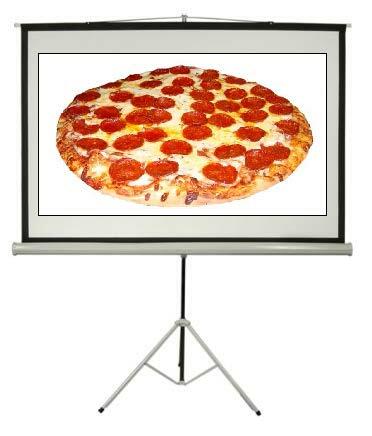 If you would like to bring a few digital images to give a short (5 minute/10-15 image) talk on a recent project, current research, or “What I did on my summer vacation,” please let Bruce know. Digital images should be placed on a thumb drive in a Power Point file or as individual image files. 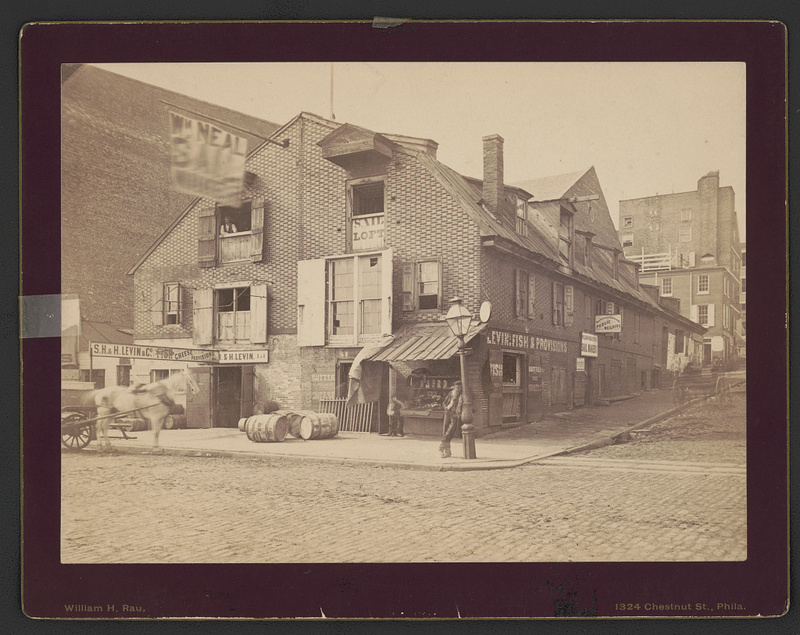 “Old store Race St. Wharf, Phila.” Race Street at Delaware Avenue, ca. 1880-1900. Library of Congress. Wednesday, December 5 at 6:00 p.m.
$15 per person for members of The Oliver Evans Society for Industrial Archeology, the Philadelphia Chapter Society of Architectural Historians and the Wagner Free Institute of Science and their guests, $20 for all others. ALL TICKETS MUST BE PURCHASED IN ADVANCE, NO ADMISSIONS AT THE DOOR. Select ticket from drop down menu below, then click Add to Cart button. Using the Wagner’s vintage glass lantern slide projector Martha will present a program featuring 19th-C views of Philadelphia by famed photographer William H. Rau, (January 19, 1855 – November 19, 1920). Born in Philadelphia, at the age of 13, he started doing photographic work for his future father-in-law, William Bell, a medical and survey photographer for the federal government. In 1874, with Bell’s recommendation, Rau joined an expedition to Chatham Island in the South Pacific to photograph the Transit of Venus. After returning, Rau worked for the Centennial Photographic Company, the official photographers of Philadelphia’s 1876 Centennial Exposition. After the exposition, he joined his father-in-law’s stereo card studio, which he purchased in 1878. He operated this studio in partnership with his brother, George, until 1880. From that point into the 20th-C he traveled the world making photographs on commission for numerous groups. He spent a significant portion of the 1890s doing photographic work for both the Lehigh Valley Railroad and the Pennsylvania Railroad, and published collections of his railroad photos in 1892 and 1900. He was the official photographer for the St. Louis World’s Fair in 1904 and the Lewis and Clark Centennial Exposition in Portland the following year. His work is now included in the collections of several prominent museums, libraries and archives around the world. The National Canal Museum’s collection of Rau glass lantern slides was a gift from Professor Charles Best, who was chair of the engineering department at Lafayette College. 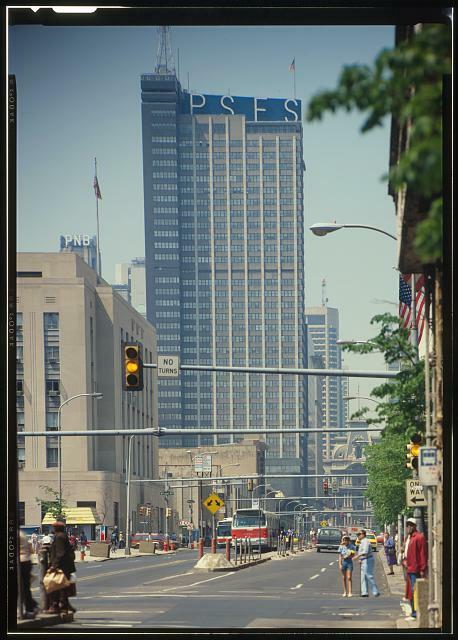 There are over 1200 slides in his collection, but we will see about 80 of the best of Philadelphia. Martha Capwell Fox has been with the National Canal Museum for six years, but has a three decades-long relationship with the Museum through former Director Lance Metz. She graduated from American University with a dual degree in International Relations and History. She spent most of her career in publishing; working at National Geographic and was a senior editor at Rodale Press. She has published seven books, four Arcadia books on local Lehigh Valley history, and YA histories of swimming, auto racing and Vatican City. Her latest book, “Geography, Geology, and Genius: The Industrial History of the Delaware & Lehigh National Heritage Corridor” is in production and should be out by the end of the year. 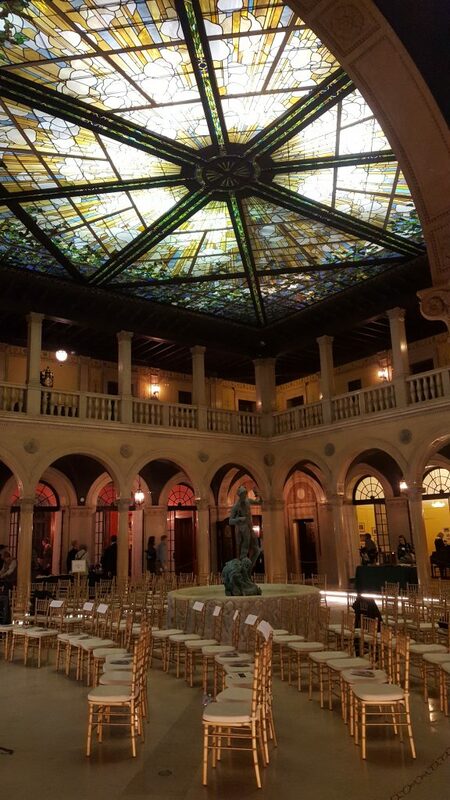 The talk will take place in the historic Lecture Hall of the Wagner Free Institute of Science and is followed by a reception in the Museum. About the Wagner: Founded in 1855, the Wagner Free Institute of Science is dedicated to providing free public education in science. Its programs serve all ages and include evening science courses—the oldest free adult education program in the country—lectures, field trips and children’s lessons. The Wagner is also committed to preserving and interpreting its National Historic Landmark building, designed by John McArthur, which opened in 1865. The building houses a Victorian-era lecture hall, a library, and three-story exhibition hall displaying more than 100,000 natural history specimens. 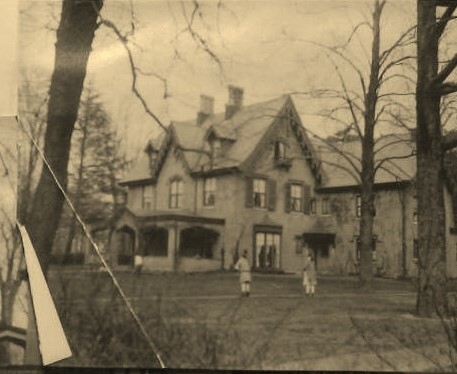 The site is virtually unchanged since the 1890s. The Wagner today is both an educational institution that teaches contemporary science, and a historic site that presents a time capsule of Victorian science. It is open to visitors Tuesdays – Fridays, 9 AM to 4 PM, year-round, and offers an array of evening and weekend programs throughout the year. It is located at 1700 W. Montgomery Avenue, a few blocks from Temple University’s main campus and the Temple-Cecil B. Moore Broad Street Line station. Cost $15, EFHS Members $10, payable on site, pre-registration is not required. Please meet at 10:00 sharp at the southwest corner of The Oak Road and School House Lane. The tour goes on unless the morning brings heavy rain. Parking is permitted along some parts of The Oak Road. For more information contact Steven Peitzman at peitzmansj@gmail.com. Stretching only from School House Lane to Midvale Avenue, The Oak Road is likely the only street in Philadelphia that both requires a “The” for its full name, and has always contained an oak tree in its center. Both the street and its dominant structure, the Timmons House, were created by Henry W. Brown in 1907. Brown was a prominent figure in the insurance industry and a lead cricket player at the Germantown Cricket Club. The Oak Road came to be both a residential “colony” for the Brown family and a handsome development of mostly Colonial Revival homes: the handsome brick and stucco Timmons house exemplifies the Colonial Revival movement in American Architecture and culture. Other buildings on the tour will include the Ivy Cottage, a Gothic revival house dating to circa 1860, and the Memorial Church of the Good Shepherd, designed by Philadelphia architect Carl Ziegler and built in 1926. 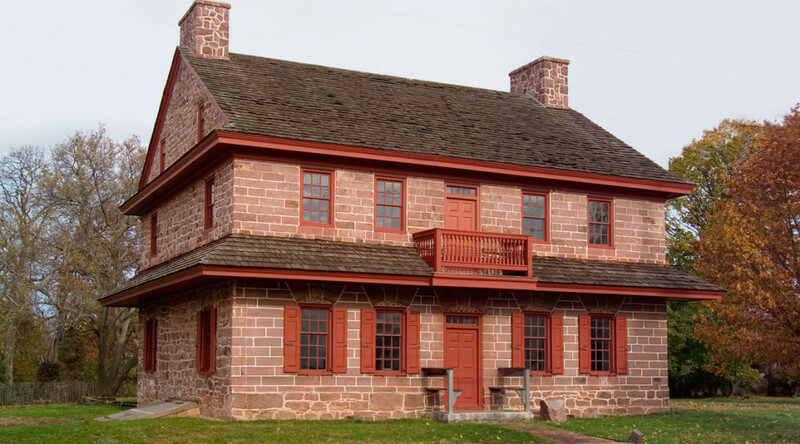 The tour leaders, David Breiner, PhD and Steven Peitzman, MD, will also discuss the historical background of School House Lane and of the nearby part of East Falls which was once known as Queen Lane Manor. We will not visit inside the structures to be discussed, but the tour leaders will share several historic maps and photographs. The tour will meet on Saturday, September 15, at 10 am, at the southwest corner of School House Lane and The Oak Road. Please join the Philadelphia Chapter SAH for our annual meeting of the Members and program. The program will begin following the annual meeting of the Members. Free for Phila Chapter SAH members. $15.00 for non-members, payable on site. 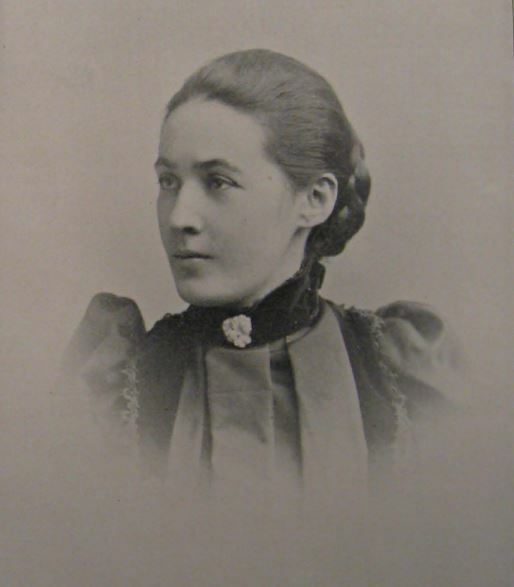 Although her formal independent practice lasted just eight years and was concentrated in the Philadelphia area, Minerva Parker Nichols (1862-1949) built a career and clientele of architectural and social significance in the late nineteenth-century’s professionalizing field of architecture. Trained as an apprentice, Nichols designed over 60 commissions nationwide, earning plaudits and extensive press coverage from her peers. Yet, she is rarely recognized today for her contributions to the field of architecture—in particular, on behalf of female clients and women’s clubs in an era of growing economic independence for women. This oversight neglects one of the earliest case studies of a woman successfully contributing dozens of structures to the American built environment—including spaces explicitly for women—and creating a business model as an independent female architect where there was none. This talk is based on research that began 7 years ago for a Master’s thesis, and continues today. Margaret (Molly) Lester is a Research Associate for PennPraxis, the center for applied research, outreach, and practice at PennDesign. Her portfolio includes research, documentation, and field survey projects related to historic buildings and landscapes, ranging from eighteenth-century historic sacred places to twentieth-century public golf courses. Previously, she worked as a freelance architectural historian and preservation planner, a national program director for Partners for Sacred Places, and an architectural historian/historic tax credit consultant for Heritage Consulting Group. She holds a Master of Science in Historic Preservation from the University of Pennsylvania and a Bachelor of Architectural History from the University of Virginia. 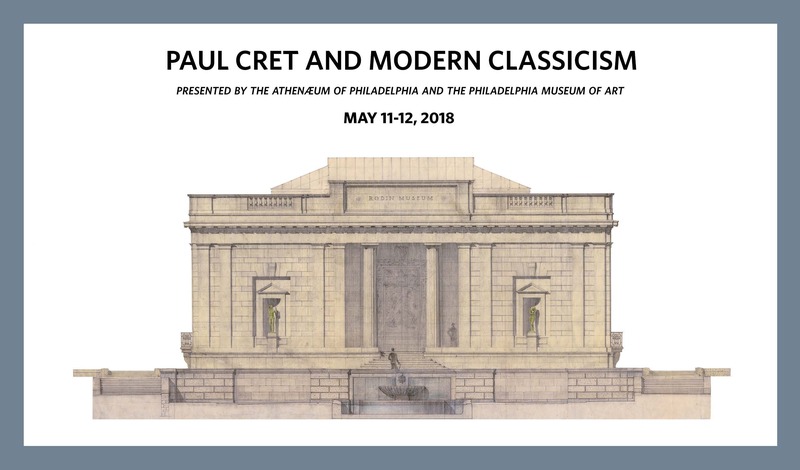 The Athenæum of Philadelphia celebrates the Benjamin Franklin Parkway’s 100th anniversary with an exhibition of the works of master architect, Paul Philippe Cret (1876-1945). Arriving here from his native France in 1903, Cret quickly became the acknowledged leader of Philadelphia’s City Beautiful Movement. This exhibition, features more than 30 original designs by Cret (built and unbuilt). These rare documents, many of which have never been exhibited, beautifully illustrate Cret’s lasting influence on Philadelphia. In conjunction with the Athenæum exhibition, the Rodin Museum will display a 1927 model of its building and gardens alongside photographs and related material exploring Cret’s design for this Parkway institution. $15 for Philadelphia Chapter SAH members and their guests, $20 for non-members, payable on site. We will begin at the Augustus Lutheran Church, 717 W. Main Street Collegeville (Trappe), PA, at 10:00 a.m. and tour the three properties through noon, then we’ll gather at the Berman Museum, 601 E Main Street, Collegeville, PA, at 12:30 p.m.
All of these sites are within 1.5 miles along Main Street. As longtime advocates for those who can no longer speak for themselves, PAF is lobbying for clearer municipal laws that compel developers to handle burial remains respectfully. We have therefore created this extensive geographical database (GIS). 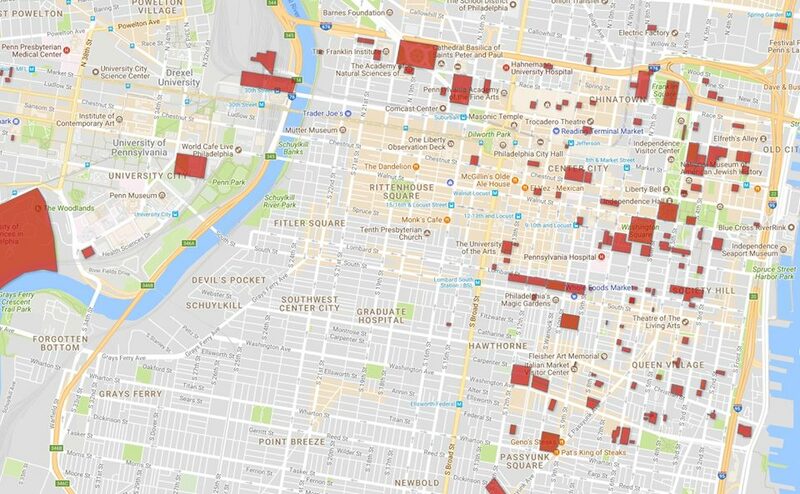 It is PAF’s intention that, in addition to being useful to historians, archaeologists, and other researchers, consulting the database of known cemeteries and private family plots will become a starting point in the process of due diligence of both developers and the city of Philadelphia when considering new projects.